True confession time. For about the last two years, I’ve been so burnt out on writing and editing, that I’ve done very little pleasure reading. Finally, I see a glimpse of light on my reading horizon, and this week I discovered an amazing book that catapulted me on my way toward a renewed love of reading. But I almost missed out on it. Why? Because I had some preconceived notions against the conventions of the book. Lots of readers have them. “I don’t like first person,” “I hate present tense,” “I only want the hero and heroines point of view.” And the list goes on. For the most part, I’m pretty eclectic with my reading. I like the new and surprising. I get tired of a single genre and adore writing that’s experimental and takes risks, but I have my limits too, and one of those limits was that I don’t like novels written as letters. 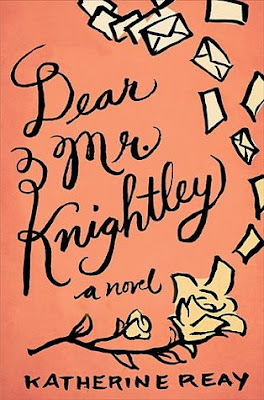 When I saw that Dear Mr. Knightley and two other books by Katherine Reay were on sale as a collection for $2.99, my interest was immediately piqued, because I’ve wanted to give these books a try for a while. But as I read the sample on kindle and saw that it was written in letters, my enthusiasm waned. Nonetheless, I kept reading, and at some point it caught my interest enough to go ahead and purchase the books. What ensued was not just a book, not just pleasure reading, but a powerful and moving literary experience. It haunted me as I read it; characters visited me in my dreams. The letters slowly pull you closer and closer into the world of a young woman seeking her Master’s in Journalism who grew up in an abusive home and then a series of foster homes. Not surprisingly, she has some serious wounds and attachment issues, yet the book isn’t dark. It’s delightful, full of literary allusions and insightful comments on human nature. As it progresses, the romance element blossoms skillfully as well, and the ending is surprising and wonderful, bringing the story full circle. I love a good surprise in a book, which is probably why I quickly become bored with category fiction. I don’t want to say much more. Instead I want you to experience this wonderful book for yourself. Do you have preconceptions against any given convention in fiction? I propose that you just haven’t found the right book yet. I mean, who can imagine Divergent or Hunger Games without the immediacy of the first person present tense narrator? Different stories call for different conventions. Give a try to something new in your reading, and see what you might discover.